Yesterday we told you that Xiaomi Redmi Note 2 Pro is expected to be announced on November 24th during company’s launch event in China. We can now expect the Xiaomi Mi 5 to be announced as well along with the Redmi Note 2 Pro as the Xiaomi Mi 5 has now been certified by China Compulsory Certification (3C) in China. 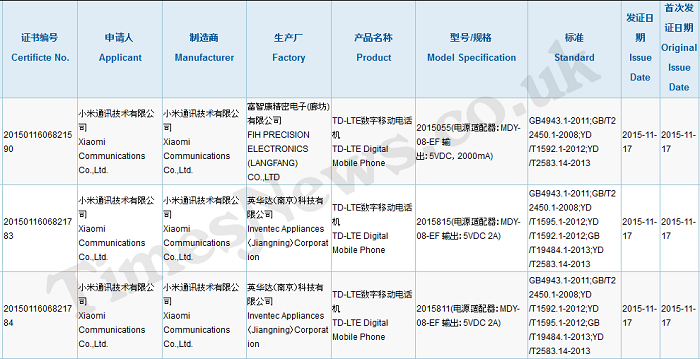 Although there are two phones which have received 3C certification, one of them is expected to be Xiaomi Mi 5. There are three devices which listed on 3C’s website having model numbers 2015055, 2015811 and 2015815. 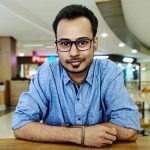 The device having the model number 2015055 is expected to be the Redmi Note 2 Pro, whereas, the devices with model number 2015811 and 2015815 are expected to be the two different variants of the much awaited Xiaomi Mi 5. All we can do right now is wait for Xiaomi’s launch event which is scheduled on November 24th at China Conventional Center and see which device is announced.